FOR close to seven decades, it was the ultimate off-roader and a vehicle of choice for military and governments around the globe. The reason is simple. Few vehicles have a tough yet endearing character such as the Land Rover Defender, and few will go where this workhorse has been. Not the best comfort vehicle and definitely not the most sophisticated (it has one of the most basic dashboards of modern automobiles), but the Defender has over the years proved its reliability and toughness – the two qualities that have made it one of the most recognisable vehicles on the road today, driven by nobles and poor farmers alike. 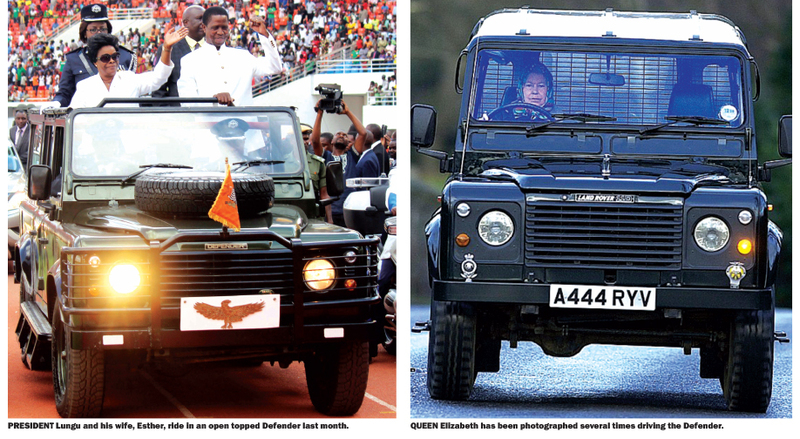 Queen Elizabeth has been photographed driving a Defender several times, while Oprah Winfrey also owns one. And twice during his presidency, President Lungu has ridden in an open-topped Defender belonging to the military during ceremonies. 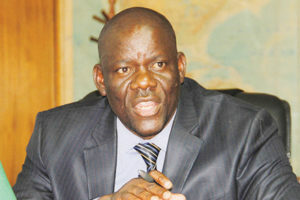 Among the prominent Zambians who have fallen in love with the Defender is former Vice-President Enoch Kavindele, who owns four units of the off-roader, including a black station wagon, which he usually drives these days. Mr Kavindele has owned eight Defenders over the years. Not too long ago, he decided to upgrade to the more luxurious Range Rover. But he still prefers the Defender. He says it is easier to find someone to repair the Defender and spare parts are cheaper and readily available. â€œI have always liked the Land Rover Defender. It is a dependable vehicle,â€ Mr Kavindele says. For years, the Defender was also the vehicle of choice for the Zambia Army, police and government departments. And once they were done doing official noble duties, they were passed on to second users, usually through auction sales. They then began a second phase of their long lifespan doing odd jobs â€“ transporting sand, building blocks, or were converted into toll vehicles, obviously owing to their enormous horsepower. Back in the 1980s, John Nkhoswe bought five non-runner Land Rover Defenders off an auction and rehabilitated them â€“ that was the beginning of his garage called JB Motors situated in Lusakaâ€™s Garden township. For over 30 years, Mr Nkhoswe has specialised in repairing Land Rovers. Sometimes he rebuilds them from scrap. Most of Mr Nkhosweâ€™s clients come from Western Province, which is covered with the Kalahari sands, and where the Defender and its predecessor, the Land Rover 109, have built a huge reputation. â€œI can go anywhere with this vehicle without worrying about anything,â€ Mr Nkhoswe says. He wonders why the British made such a durable car. Yet even a vehicle so loved and respected as the Defender has to reach the end of the road some time. On January 29, the Indian-owned carmaker, Jaguar Land Rover, announced it had produced the last Land Rover Defender because the vehicle could not meet safety and emissions standards. The Defender, which was initially known as the Land Rover 90 and 110, succeeded the Land Rover Series, which included the Land Rover 109, a robust vehicle that has been off the production line for about three decades, but still roams our roads like a phantom. More than two million Defenders have rolled off the production line since 1948 when it was introduced in Solihull, Britain. Land Rover claims about 70 percent of those cars are still running today. When the carmaker announced it had stopped production of the Defender, the internet was awash with emotional farewells to the Defender from motoring enthusiasts. Leonid Bershidsky, writing for Bloomberg news, described the Defender as â€œone of the worldâ€™s last real carsâ€. â€œTo me, the Defender is top on the list, and everybody seems to love it. 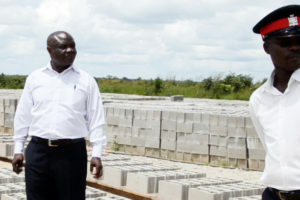 In Zambia, the Defender has been bought and used by police, farmers, business people, politicians, and government officials, including Presidents. This is truly the end of an era, and few things will beat the nostalgia of the Defender. For those that have the Defender, keep it safe; itâ€™s now a vintage piece of engineering,â€ he says. Jaguar Land Rover plans to launch a new Defender in two yearsâ€™ time, but the big question is: will it be as iconic as the original Defender? Or will it suffer the same fate as the VW Beetle? When the iconic Beetle was phased out, it was later replaced with a new model. However, the new car never matched the original Beetleâ€™s popularity and appeal. Those who own the original Beetle, like Chief Mumena of North-Western Province, hold to them like treasure. And like the Beatle, the Defender may be off the production line, but its memories are bound to linger for generations to come. 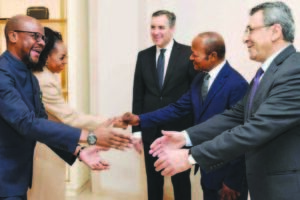 Mr Kavindeleâ€™s consolation is that more Defenders will make it onto the Zambian market for years to come as second-hand vehicles, including those decommissioned from the British army â€“ if they make it out of the battle fields, that is.